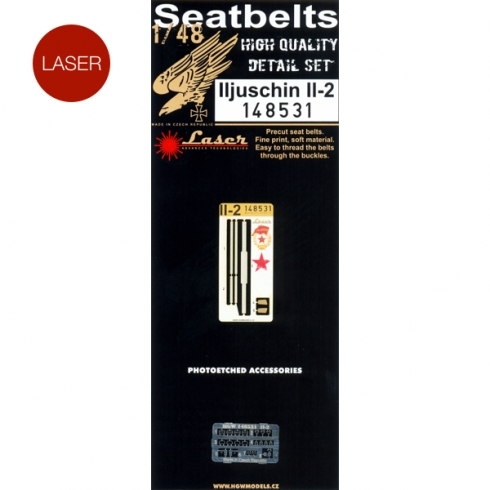 Seat belts, suitable for Iljuschin Il-2, are made from micro-plastic foil. In combination with attached photo etched buckles this accesorry looks highly realistic. These are available in 1/48 scale and for more comfortable work they are pre-cut. Designed for Tamiya, Eduard, Italeri and Accurate Miniatures kits.